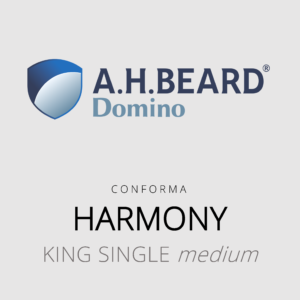 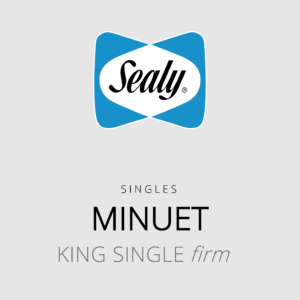 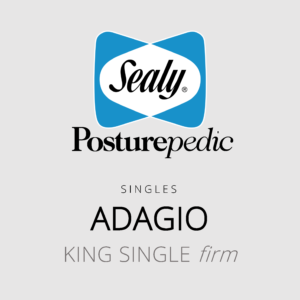 The Sealy Posturepedic (Adagio) king single mattress with firm feel represents superior features, quality and durability and features the SRx®II Titanium Coil. The Sealy Posturepedic (Adagio) king single mattress with medium feel represents superior features, quality and durability and features the SRx®II Titanium Coil. The Sealy Posturepedic (Adagio) king single mattress with plush feel represents superior features, quality and durability and features the SRx®II Titanium Coil.